There is an growing fashion of people running to the media with silly subjective stories that leave a good number of us yawning. Like, Work and Income tells jobseeker to remove her degree from CV. Big deal. This is not one of them. Gary Wake e-mailed this story to NewstalkZB, and obviously other media, as a last desparate resort. If you don't want to read the entire e-mail you can hear Justin du Fresne read it in its entirety straight after the 9am news yesterday. Listen (starts at 13:30). As the story unfolds there develops a sense of very black comedy about cancellation after cancellation of surgery as Gary's 11 year-old daughter becomes more and more disabled. "We recognise this has caused some distress to the patient and her family and we apologise." Some. No response at all would probably have been an improvement on that indifferent word choice. I just don't get National's game plan. On hearing John Key slam the door on Tuhoe I felt hurt for them. It would not cost New Zealanders to let Tuhoe take over management of the Urewera National Park. It means everything to them and is just a few lines in the press to the rest of the us. On the other hand, if it was the upholding of a 'principle' there would at least be some rationale behind this, to use Chris Finlayson's word to describe how some Pakeha regard land settlements, 'mean-spirited' refusal to grant Tuhoe the fulfilment of their deep desire to exercise some sort of guardianship over the land they live on. But it can't be a denial based on principle because elsewhere we have seen National open doors to increased Maori ownership. The re-visitation of the Seabed and Foreshore wrangle looks like it will result in Maori gaining greater resources. The upshot of current proposals will, like the signing of the Declaration of the Rights of Indigenous People, be far more encompassing than a deal over the Urewera. Then John Key insults everybody's intelligence (or perhaps he assumes we have none) by saying there will be no separatism in New Zealand. Bull. Of course there is and will be separatism. The question is, how much and will it be a good or bad thing? Individualists (my tribe if you like) make a great deal about our rights and freedom as individuals. We do not like being controlled by collectives, especially the state. We would actually embrace our own separatism from people who think differently - social engineers, moral relativists, herders etc. So why can't we understand Maori and their yearning to do their own thing? It doesn't mean that we are permanently divorced from each other. Many successful marriages are based on respect for each other's space; both separateness and togetherness. That is how the relationship between Maori and Pakeha would best strengthen and abide. But yesterday John Key showed he doesn't really understand this when he made a very big mistake with an unfortunate comment about Tuhoe eating him for dinner. It isn't that the joke was unfunny. It was that he would even think to joke about Tuhoe after just causing them so much pain. That was thoroughly and dismally revealing. He pandered to those people who do not want Tuhoe to get anything. People who believe that Maori will shut off Pakeha access. They base this on the past behaviour of a few thugs. In fact, their entire view of Maori is based on the worst of Maori and not the best. But do they base their view of Pakeha on the worst specimens instead of the best? Maori generally welcome strangers and share with them. At some point we are going to have to trust each other if the future is going to be better than the past. But trust took a massive hit two days ago when Tuhoe were told that their dream was over. A Feilding District Court judge sentenced a woman who had defrauded Work and Income of $48,000 to one year in prison yesterday with no opportunity for home detention. Which led me to speculate about the consistency of sentencing for benefit fraud. A recent case was fresh in my mind having received a new comment just a few days ago from someone who claims to know the accused (one of the few advantages of having moderation turned on is seeing incoming comments on old posts.) I have searched for any reports of Georgina Ann Marie Nelson's sentencing which was due in February this year to no avail. If the commenter checks in again perhaps they could update us. In this case a woman was jailed for one year but allowed to apply for home detention after stealing $85,000. Here, eight months for $49,000. Here, 6 months for $40,000, application for HD allowed. In this one a couple were both sentenced to 8 months for a combined total of $38,000. That's enough. It's depressing reading and there are no shortages of examples. In the 2005/06 financial year there were 937 prosecutions for benefit fraud, most of people who were working and claiming. All of the above cases involved claiming not to be in a relationship 'after the nature of a marriage'. And anecdotal evidence would suggest they probably represent just the tip of an iceberg. The sentencing looks reasonably consistent. It also looks reasonably lenient. Let's face it, if you have been on a benefit and all that happens is you get to stay on a reduced benefit largely confined to home, it's not much of a deterrent. Should people who defraud Work and Income get longer sentences? Or should they simply be banned from ever collecting welfare again, including Super? The second option may be more effective. These statistics only tell us so much. 67,796 students received an average of $1,157 each in the first quarter of 2010 (during term-time). These numbers do not tell us if total student numbers are up. 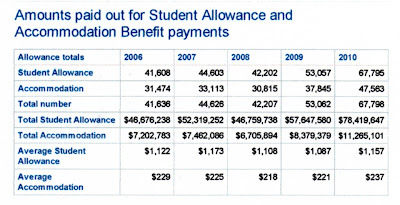 Only that far more students are qualifying for allowances and accommodation benefits. This may be a factor of the recessionary impact on their parental incomes. Then again these numbers may include thousands who can't find work and would otherwise have been on the unemployment benefit. In which case this will be positively affecting the unemployment rate and may account for the recent surprise when the March quarter rate dropped from 7.1 to 6 percent. I have an OIA request lodged with MSD which will fill in some of the gaps. Statistics New Zealand spokesman Conal Smith said there were many variables but it looked like a greater proportion of students were neither working nor getting a student allowance. What a welcome change to read a column by someone taking it to another emerging army of alarmists - the anti-TV terrorisers. 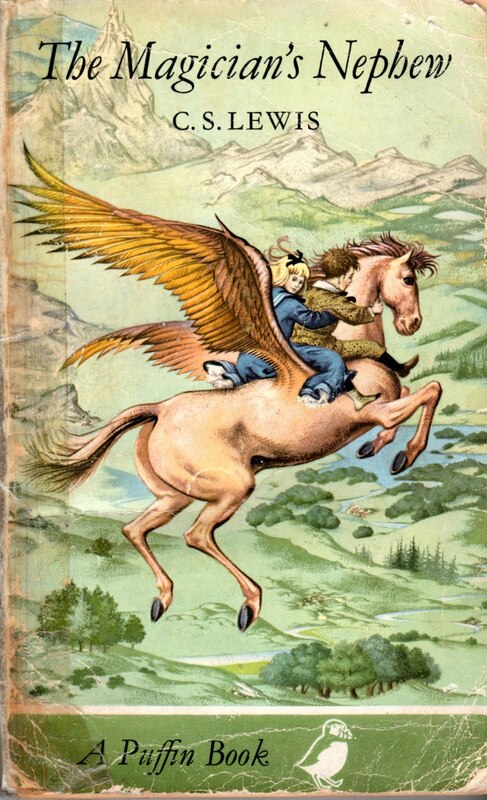 A blind moral panic about television and other electronic media hinders children's potential to realise literary futures that are different from the past. Why are we such snobs about children watching television? Anne-Marie Quill has said everything - and more - that ran through my mind last week when I read about 'experts' warning parents not to let under 4s watch any TV whatsoever. Unlike Ms Quill I couldn't find the energy to refute this absurdity so opted to do the next best thing and ignore them (which is incidentally how I advise my children to deal with bullies). The warning came around the same time that I took my 11 year-old daughter and other team members over to Seatoun school to compete in the annual KidsLit competition. The children first compete to be in the school team, and the winners then square off in the Wellington area rounds. Ultimately a NZ team will compete internationally in Edinburgh. The competition comprises 10 rounds of 10 questions, with each round covering a particular subject. That was first up was American literature. And a typical question would be, What was the family surname of the girls in Little Women? The children work as a team and eventually the highest score wins. But along the way there are chances to win books and money! The quizz master, in his tall hat, who is completely nuts about the concept, really brought the show alive. There was even a question and prize for the adults at the end of each round. So rather than just being spectators we were participating. 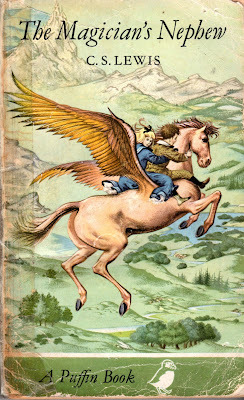 Of course the Narnia books have variously been turned into TV series' and films many times. There was a BBC TV series made when I was a child. I loved to do both; read the books and watch the screen. And that was in the 1960s. These experts who warn against TV viewing must have stale and unimaginative lives. Perhaps they spend all their time exercising their precious bodies and believe that, for their own betterment, every other individual should be doing the same. But what about the life of the mind? Frankly they can naff off and more people should join with Anne-marie Quill in telling them to. There is a fascinating tussle going on between Gordon Campbell and Peter Saunders. Gordon Campbell first drew attention to the writing and ideas of Peter Saunders, who has been appointed to the Welfare Working Group in an advisory capacity. Campbell is strongly condescending towards Saunder's thinking about IQ, how it affects achievement and the role it has played in the developing numbers of welfare-dependent people. Saunders talks a great deal about class. He is now living back in his native Britain (also my birthplace) where class is part of the wallpaper. I have always understood that when NZ was colonised there was something of a desire to leave behind the class mentality. Ambitious working class people were lured out here with the promise of land ownership. Many, if not most, 4th or 5th generation NZers come from humble backgrounds. No big deal. I am not so much proud that my great grandfather was an Irish scavenger, but grateful that he got himself out of Ireland looking for better or I wouldn't be around today. On my mother's side, her Dad was a miner. She, against the odds, put herself through teachers training college and made a better life for herself than was expected. When I was young we had IQ tests at school (England). Because my mother was a teacher she was privy to my result which was apparently very good. But I didn't turn out to be academically brilliant. Dropped out of University and cleaned offices. It was never a matter of 'couldn't do' but didn't 'want to do'. And I was always happy hanging out with 'ordinary' people. People from working or middle-class backgrounds. Later in life, when I wanted to challenge what I was seeing around me, then I began the long ongoing process of educating myself. So where am I getting to with this. People like Gordon Campbell hate the idea of class and IQ. In his circles you can't dare say someone is not smart enough to be a teacher or a doctor. Because that is insulting. (And yet this same troop - although it may not specifically include Campbell - have formed their own brand of elitism. And woe betide if someone without academic qualifications writes something they don't like. Suddenly the pleb has over-reached herself). IQ is only a measurement of certain abilities. I know plenty of people who wouldn't fare well in the IQ testing stakes who are 'intelligent'. But what Saunders is trying to convey is that intellectual ability is a fact and it very much influences what people can and will achieve in their lives, including social status. Some people have too much and it can wreck their lives. What Campbell actually thinks is less accessible. He quotes someone called Young at length, about 'meritocracy' which seems to be a theory that people who have achieved on merit then close off opportunity to others to follow suit. Sounds conspiratorial. Having dismissed the value of retraining programmes for welfare beneficiaries on welfare, Saunders then proceeds to criticize measures to improve the equality of opportunity to tertiary education. Again, this is a wasted effort, in his view. To repeat: these are the sort of views that Paula Bennett wants her expert panel on welfare reform to heed. We should be very worried. Equality of opportunity is important and I think a great deal more of it exists in this country than in the UK. But what strikes me as I read Saunder's column is his approach to the welfare 'problem' is coloured by his recent Australian and UK experiences. Both countries have had long dole queues for a long time. Notwithstanding some moved onto sickness and invalid's benefits, NZ's dole queue shortened dramatically before the recent recession. Some may attribute that to the very availability of equal opportunity. While New Zealand shares similarities with Australia in the welfare-dependence stakes, it is also quite different. Unique in fact. Maori, and to a lesser extent Pacific Islanders, make up a disproportionate share of recipients. I reject that the Maori dependence is down to low intelligence. Maybe some wouldn't perform well under IQ testing but I know enough Maori well enough to know they are not stupid (apologies for my own collectivising). Maori dependence is long-standing; both complicated and simple; economic and cultural. The bulk of their dependence is through unsupported mothers. I am loathe to call them 'single' because many are not. A further chunk of it is through ill-health, both physical and mental. On the other hand, Maori unemployment is higher in a recession but we have seen it drop to very low levels when the work is there. In June 2007 less than 8,000 Maori were on the unemployment benefit compared to 43,000 in 1999 and many more in the early 90s. So coming at the NZ welfare problem from an intelligence/ ability angle would not be a priority on any list I had written. Maori are a resourceful people. That has to be unlocked at every level. It gets undermined when the state runs around doing for them. But I digress. There will always be work (or a working partner) for people who do not aspire or, heaven help us, lack the ability to become academics and professionals. The problem is making it financially viable. Enough to live on. Either the state gets out of the way and lifts the taxation burden off employers (I can't see this happening and part of me distrusts that a free market would bring less inequality) or it tops up people doing menial work. It is still preferable to have people in work, getting topped up or paying no tax, than being paid to be economically unproductive. There is a danger of over-intellectualising the whole business of welfare dependence. But at least I can understand where Peter Saunders is coming from. I can't say the same for Campbell. The State increasingly seems to feel it has no choice but to take responsibility for those who are not prepared to take responsibility for themselves. Government has assumed the role of saving people from themselves. The inevitable result - an unintended consequence of State meddling in people's lives - is that those with diminished responsibility have been given the right to be picked up and cared for by the State at the expense and inconvenience of the majority. And the majority seems expected to acknowledge and understand this - even to respect it when, in fact, it should be the reverse. Our society is slowly being turned on its head. The minority rules - or at least the rules are made for the minority, but imposed on all. The minority must be saved from itself by the State, and the only way the State can do this is by loading increasing impositions on the responsible people - taking away their freedom and choice. How is that right? Well, it's not. One of the ways in which the state goes overboard is in its surveillance of children. The last Children's Commissioner had a grand plan to screen all children to check for physical or emotional problems. This is a sledge hammer to crack a walnut. But the Commissioner got her way. Many of your services will have provided information about a child's social and emotional development through a strengths and difficulties questionnaire. I appreciate that there have been concerns about this questionnaire, but it is an internationally validated tool that was widely looked at by the Ministry of Health before being included as part of the 'B4 School Check'. The Ministries of Education and Health acknowledge the value of the professional judgement of early childhood teachers, and we strongly encourage you to contribute to the B4 School Check. So I don't know whether Heather Roy does understand freedom. Or perhaps continuing a developing political theme, there are two Heather Roys. More likely it is just the inevitable and dissembling result of being the Deputy Leader of an apparently 'libertarian' party but also a government Minister. John Tamihere writes that whanau ora risks sabotage by government bureaucrats and it will be "...the Maoris who cop the flak." That may well be but there is a more inevitable reason why it will fail. For too long, there has been a confusion over the role of the state in relation to families. Government must never become the defacto head of the family by replacing vital functions that we would expect families to do for themselves in caring for their wellbeing as a whole. But that is exactly what the state has become. Particularly prevalent amongst Maori families, it takes on the role of financial provider. The same happens in other countries and it is always the poorest people who are affected the most because the level of income the government provides is commensurate to the level of income a male would bring in. So the poorest families - blacks, Hispanics, native Indians, Aboriginals, Maori, - suffer the most disintegration. The men are dis-empowered and the women struggle. My biggest reservation about whanau ora lies therein. With no fundamental change to the benefit system (Tariana is a strong advocate of the DPB) it will remain no more than a different way of picking up the pieces.